The band members are two brothers Erik and Matte Andersson and are coming from Sweden. 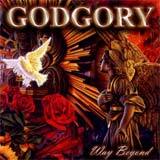 Sea Of Dreams and Ressurection, Godgory's other albums already had good results. So they should expect the same result with Way Beyond because it is an original and various album. Their style balance between Gothic and Death Metal but they also have some progressive and even atmospheric touches. The mixtures of all these make it interesting. Way Beyond is a good tittle because it takes you... way beyond you've heard till now. The album is various and so are the songs. From dark atmospheric parts to death and prog with a lots of melodic. All this is varied in different ambiance's with a good sense of control. The power ballad Sea Of Dreams is a killer. But what to say when the best song from an album is an ambient ballad ?? ?